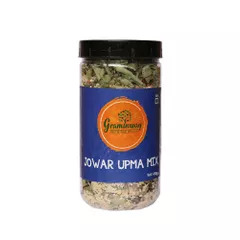 Graminway Jowar Upma Mix is high in fiber, rich in protein, loaded with antioxidants, and absolutely gluten-free. Also, the main ingredient of this nutritious and delicious mix is jowar highly recommended as a cure for diabetes. 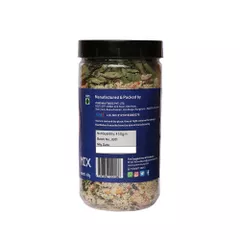 This unique all-mix upma helps you lose weight too. Include this offering in your routine diet and you will be amazed with the quick results. All things being cyclical, the millets, which are nutritionally more dense and fibrous than rice or wheat, are finding a resurgence. Millets that our ancestors ate are making their comeback onto our dining tables in the form of snacks and granola and tradition breakfast and lunch preparation. It is rich in nutrients, dietary fibers, vitamins, and minerals, including zinc, calcium, potassium, magnesium, iron, and fats that significantly boost health. It is best served with fresh Mint chutney.